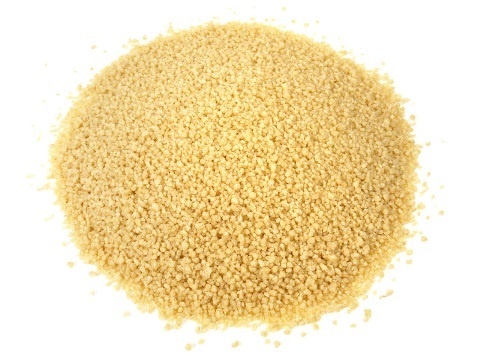 Couscous is a wonderful, versatile alternative to pasta or rice, made of tiny grains of durum wheat that are steamed. It can be served as a breakfast cereal, dressed as a salad, and sweetened for a dessert. Its most common use is as accompaniment for stew or savoury sauce, much like rice. Couscous provides a low fat source of fibre and complex carbohydrates.